Got My First Pack Of Henna! - Hairlicious Inc.
Hey, Sunshyne. I haven't tried this henna. I forgot the name of the henna I had. I had great results though. Thanks for posting this. I look forward to your results. Also, I noticed that this was has several key herbs that I've tried before and liked. I will definitely be looking into this brand more. I never ever tried hena,I'm to skerrred to try it.But! I will definitely be checking back in for your results.You're going to take some pics,right? Henna and I are bff's. I started it about 6 months ago and I love the strength and the overall improved condition of my hair. Most of all I love the color. My hair is naturally reddish brown so it makes my hair a nice bright but deep red. Best cheap product for hair by far. 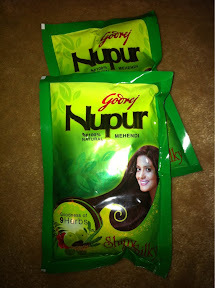 I love Reshma brand, I've never tried the Napur. I have never used Henna. Looking forward to your results. I would like to try Henna, but I'm afraid. Thank you ladies SOOO MUCH for opening up about your experience and knowledge about Henna. You all don't understand, I'm extremely excited and ready to try my henna. I think I may push back my relaxer just to try it out. Let's see. Hi Sunshine, I am so glad that you have been having such great success since I read your post about your hairgrowth past your midback length goal. I tried Henna, but it was quite a few years ago, and I must be honest, I did not like it for several reasons. It is probably improved by now, however I have not tried it again yet. I would like remind you not to be too eager just yet about this nor any product you have never used. I KNOW! No matter how much success other ladies have had, this product may not give the results that others claimed. If you use it, try to follow the "Try it on a tiny area in the back" suggestion, first, just to see if you like it and if it is the right match for your hair. That way, you have not put it on your entire head if there is anything you don't care for. You have worked very hard to have the beautiful hair that you have, and you deserve to keep that success. HHJ! Hi, This is the only henna I use and have used it since July 2010. I mix it with hot blueberry tea in a metal bowl (dollar store purchase). After the dye release I use coconut milk, an omega 3 enriched egg, and oils(jojoba, wheat germ, and avocado) I also add some cloves for a nice aroma. I like to put in on at night ans wash out in the morning and then put my indigo on for 2 hours and then DC under my steamer for 20 minutes. I Love it! I hope you enjoy it as well. I've been wanting to try henna for years, but have been too scared to try it. I think my hair is in good enough condition to try it now. Can't wait to read about your results! First I want to say I absolutely LOVE your blog! I live in the Greater Toronto Area (Scarborough). Where can I find this Henna? also, where can I find the new CON Shampoo (the one you did a review on)? Don't know what Henna is or what it is used for, but I am looking forward to your results. I love this henna! I've been using it for about 7months now. I especially love using it when I'm about to straighten my hair. My hair comes out so nicely. Does anyone know where I could get in the GTA (Toronto, Scarborough Area) Indigo though. I'm not too fond of the colour that this Henna leave in my hair.